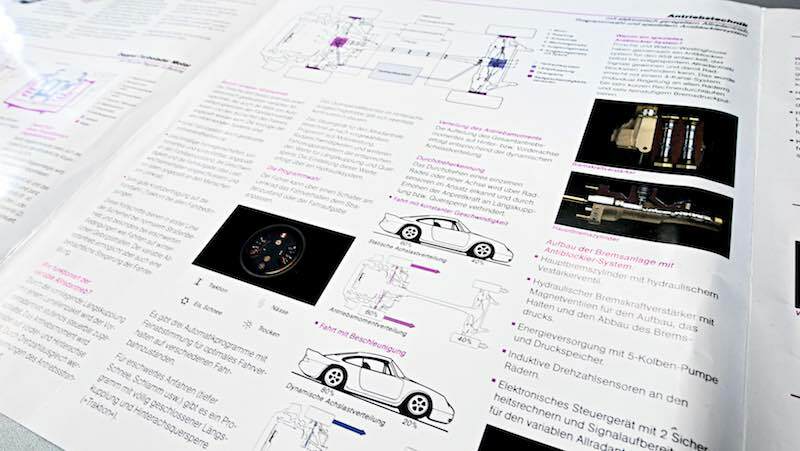 The Porsche Archive is based in Zuffenhausen — but that’s not the whole story. 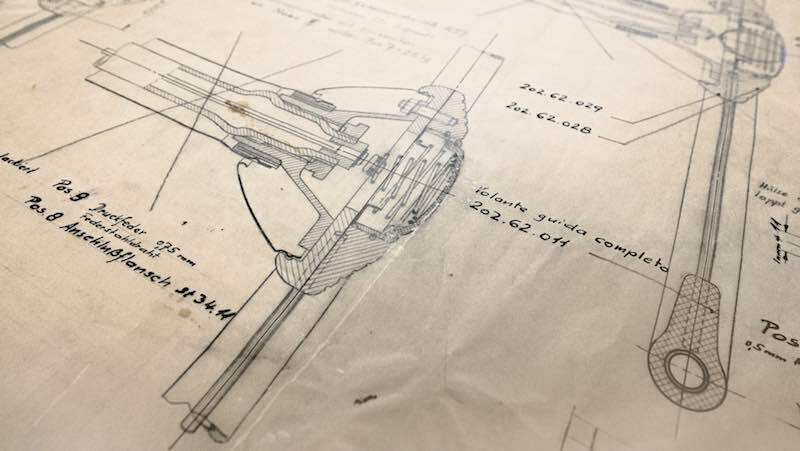 There are also thousands of design drawings housed in a basement room in the Weissach Development Center. 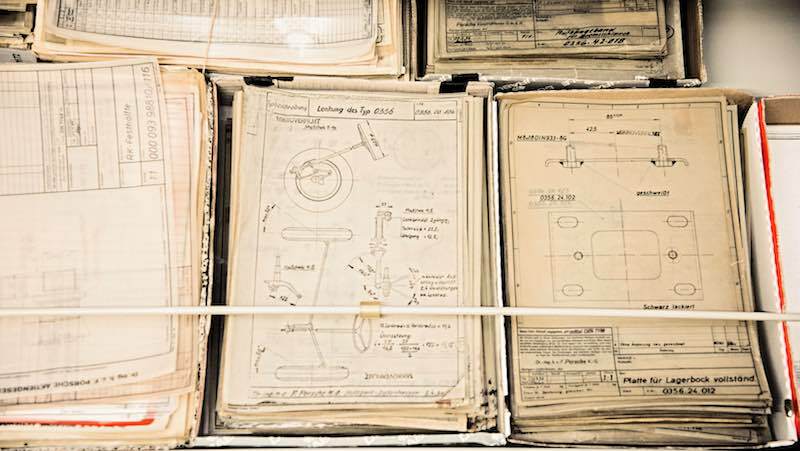 All in all, this 70-year collection contains over 100,000 sheets. 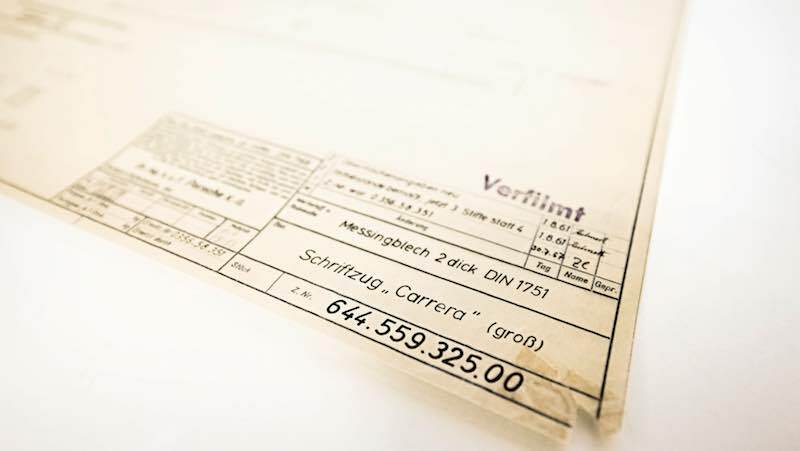 Uwe Geisel’s movements are almost reverential as he unrolls a construction drawing with the utmost care and caution on the table top in front of him. 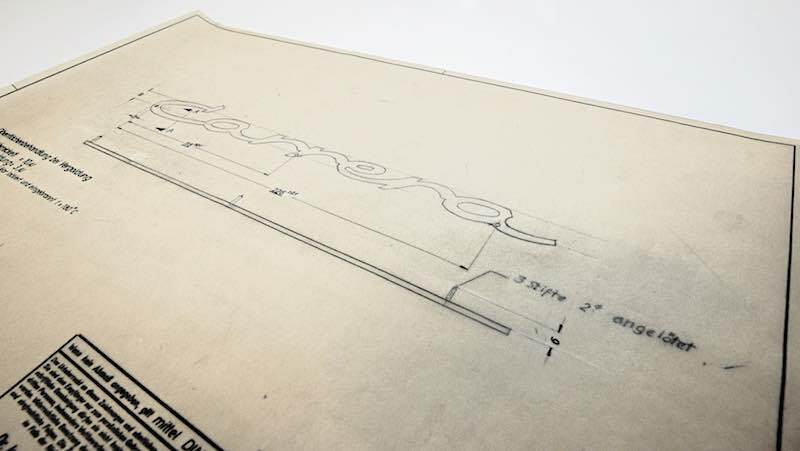 He caresses the sheet of parchment with his hand and pauses briefly before commenting with the air of a true expert; “This technical drawing shows an early Carrera logo dating back to 1952”. 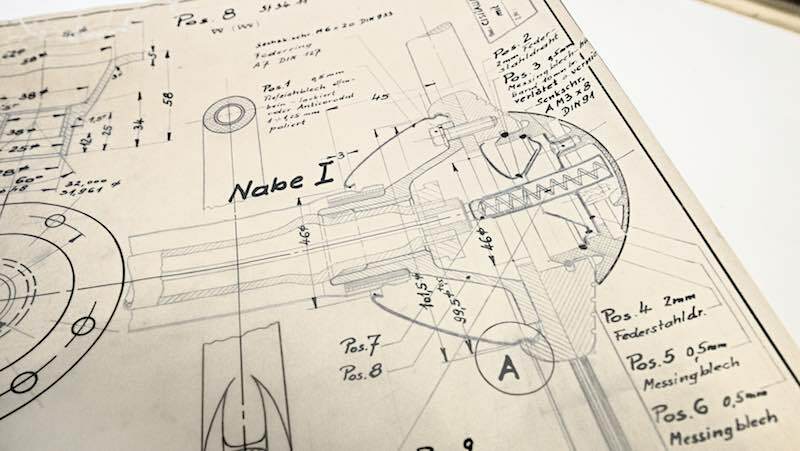 The process is repeated with another sheet of parchment: “There’s a lot of interesting details on this one, which was produced in 1948 for the Cisitalia. See the steering wheel? It makes another appearance in the Porsche 356-001”. 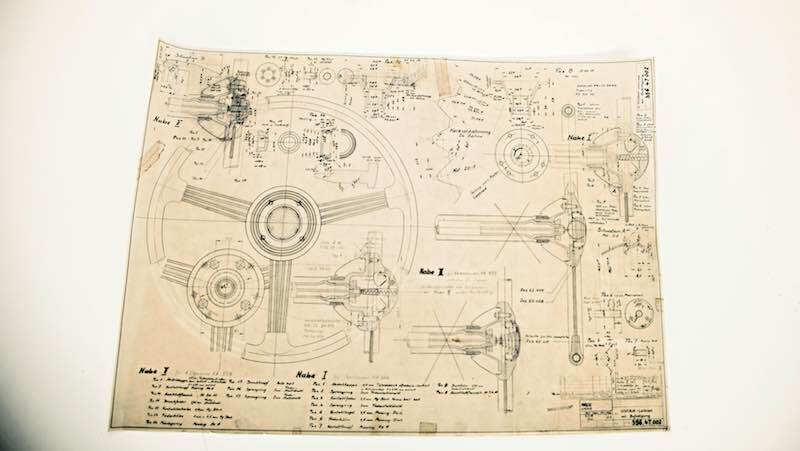 Geisel allows the tension to build as he unrolls the next sheet; “This drawing shows the delicate bodywork of the 356. It was sketched out on a drawing board in 1950”. All of these drawings are originals that have survived the decades intact.